Want bigger tires? Southern Truck's GM suspension level kit supports up to 32-inch tire and wheel combinations for all Chevrolet and GMC 1500 pickup trucks and SUVs. 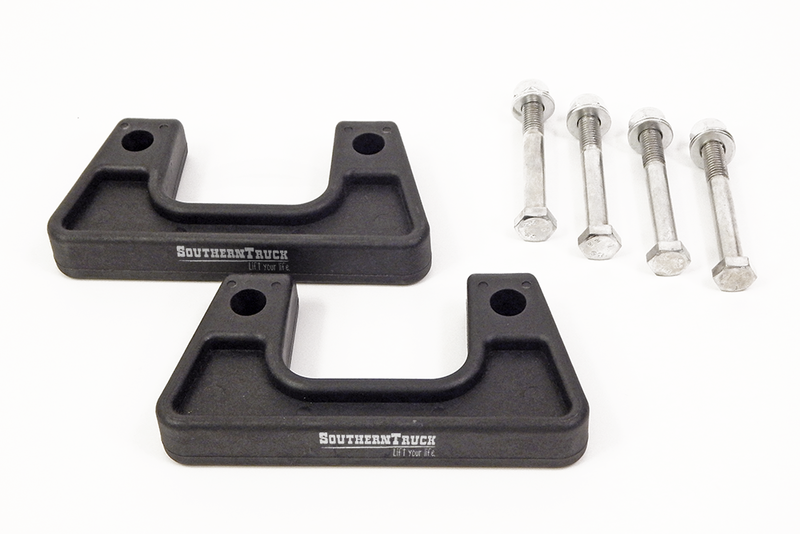 Level the front of your vehicle with the rear using Southern Truck's 2-inch kit and instantly increase ground clearance, ride height and the style you're looking for. Tired of the long installation process? Increase your energy and truck's appearance with our bolt-on installation kit, featuring a unique design that allows the install process without strut or spring disassembly, drilling, or cutting. Southern Truck's GM suspension level kit works with all control arm configurations and materials, including aluminum, stamped steel and cast steel. Does NOT fit "MagneRide" models.